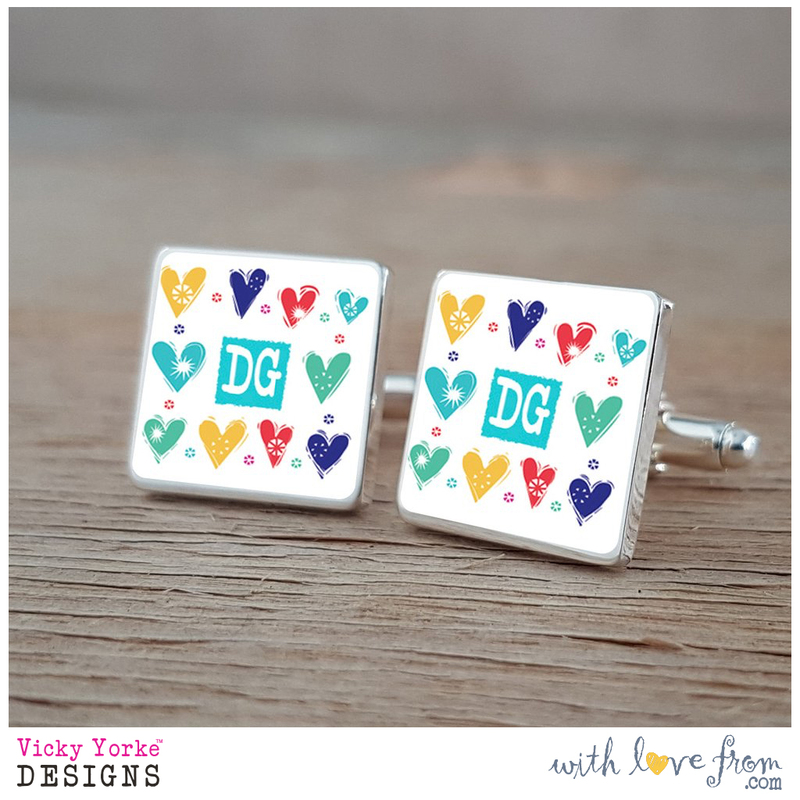 Those of you who have been following my blog for a while will remember that last year I launched a selection of personalised handmade items through my Etsy shop. I have been so busy with design work over the last year that unfortunately I just don't have time to make products myself at the moment. 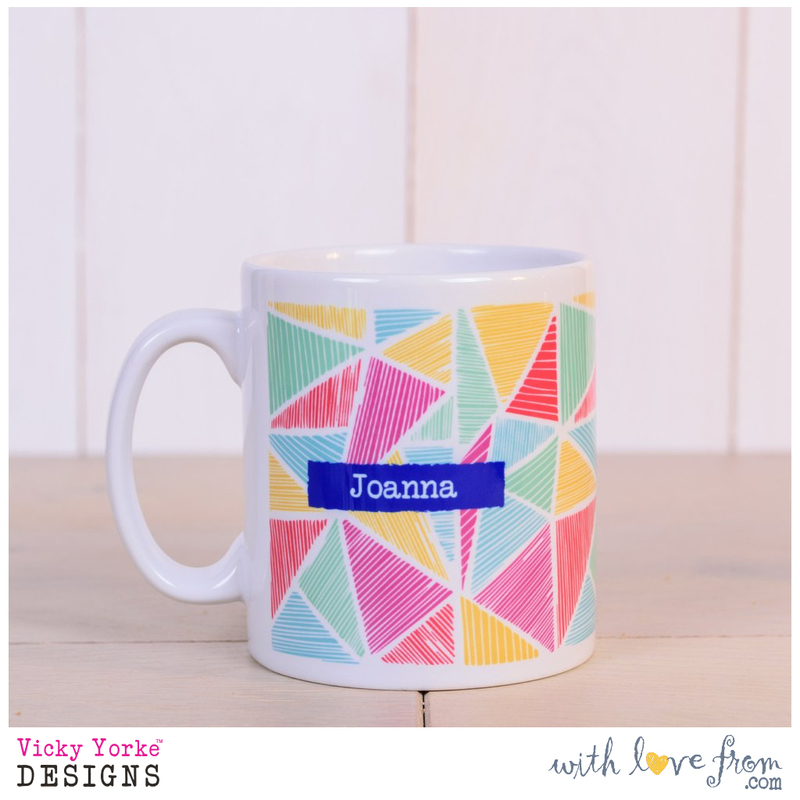 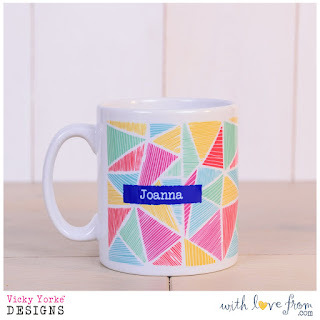 I designed the Bright Hearts range as an antidote to traditional 'soppy' gift ranges, creating a variety of fun sentiments by combining brightly coloured and modern hearts or geometric prints with quirky hand drawn lettering. 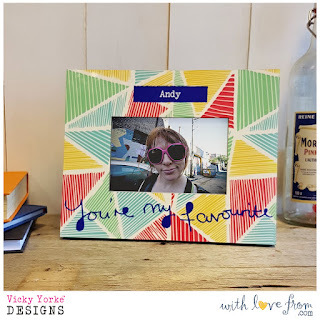 There is something to appeal to all personality types, whether sentimental or a little more tongue in cheek! 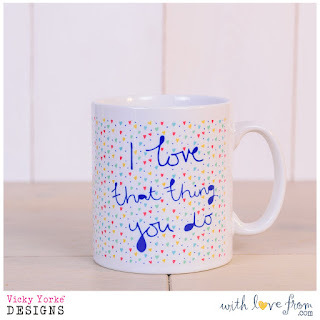 You will find gifts perfect to celebrate Valentine’s day, engagements, weddings and anniversaries (or even just to let your Mum know that you care!) 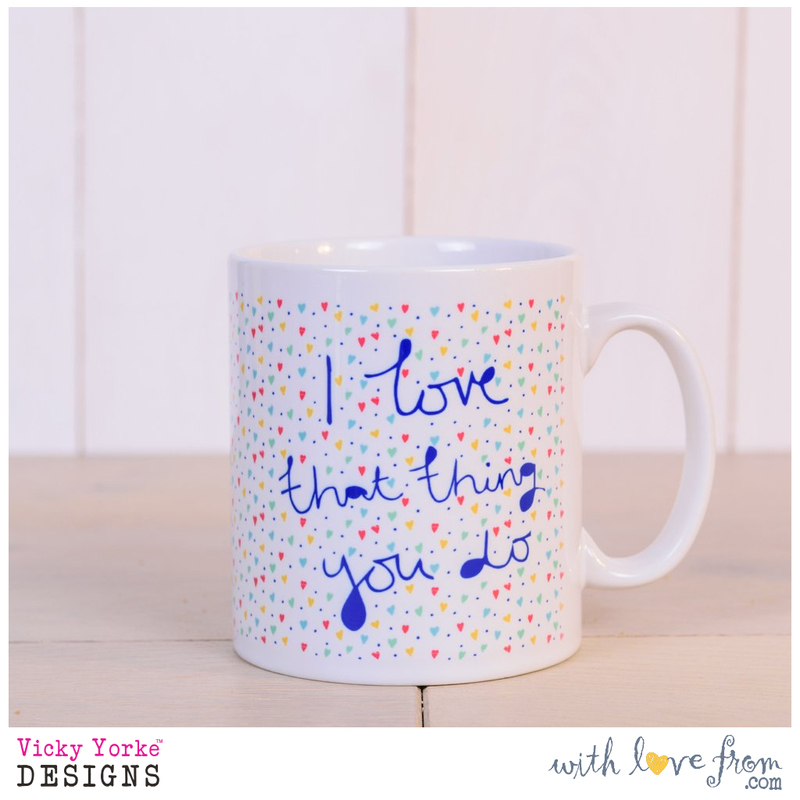 All products in the range have an area to personalise meaning that your gift is always unique and completely personal to the recipient. 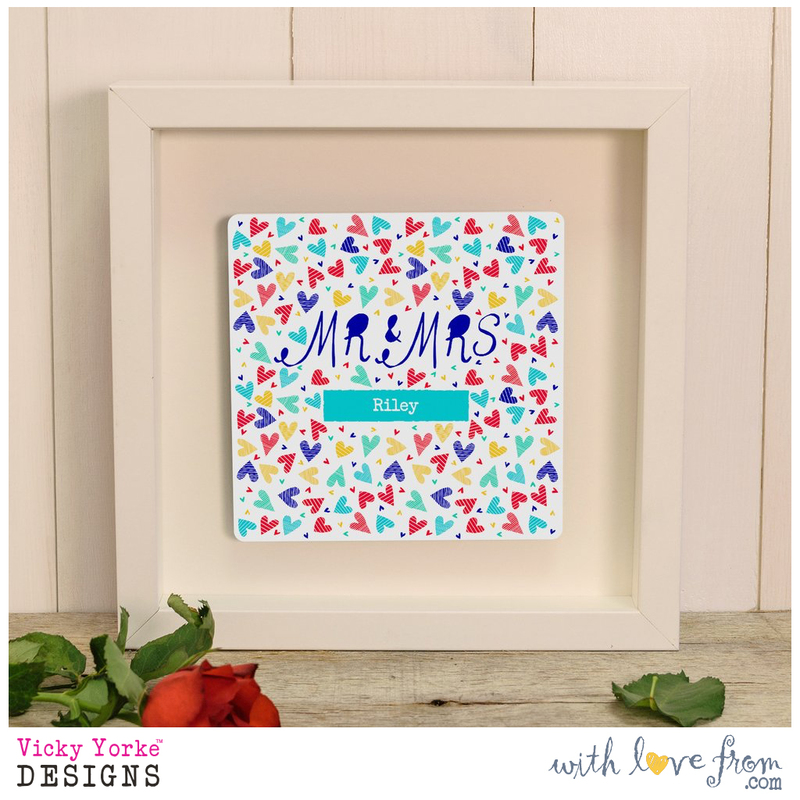 The launch range includes personalised mugs, photo frames, wall art, cufflinks and a delightful card and coaster combo! 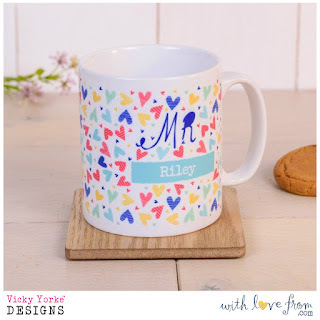 View all the products below or shop the whole range here. 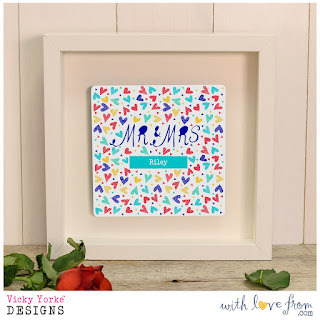 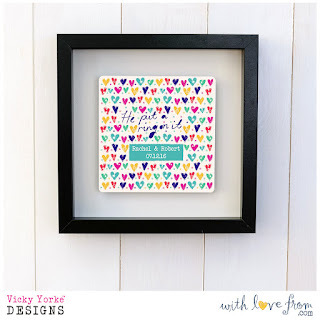 I must admit I'm a bit in love with this wooden photo frame, which is engraved with my geometric hearts illustration and 'I love you' hand lettering. Also available is this super bright printed photo frame featuring 'You're my favourite' lettering and my bold geometric print. Whatever the occasion, there is a design that is perfect to tell someone that you care. 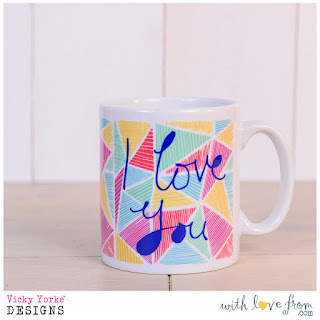 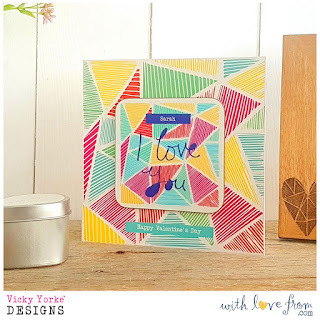 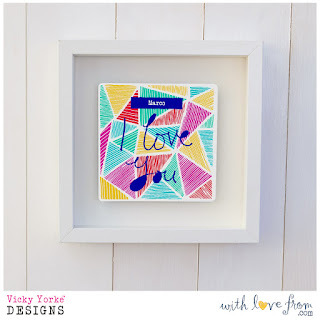 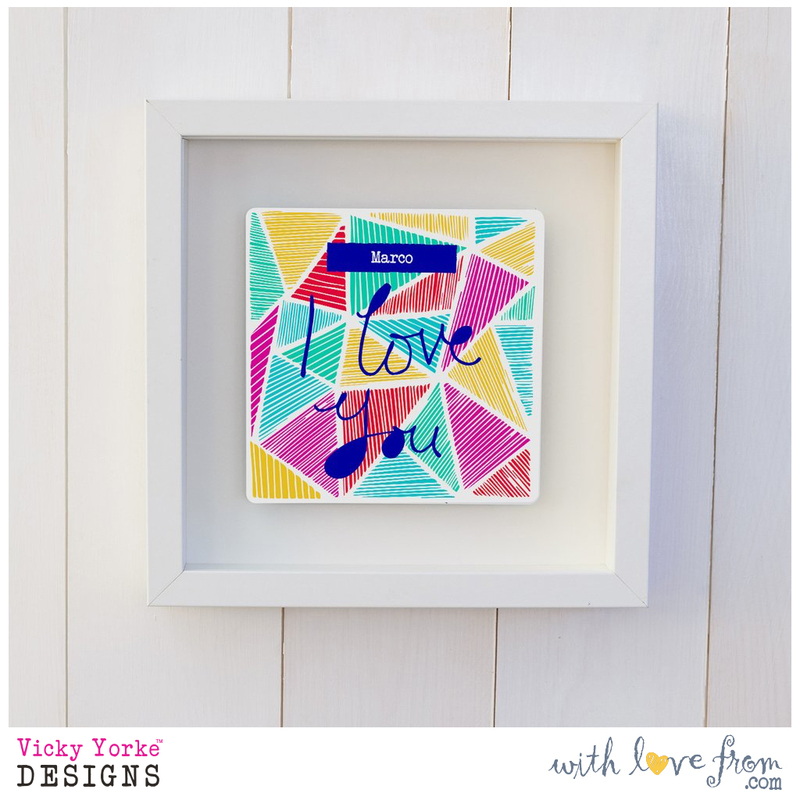 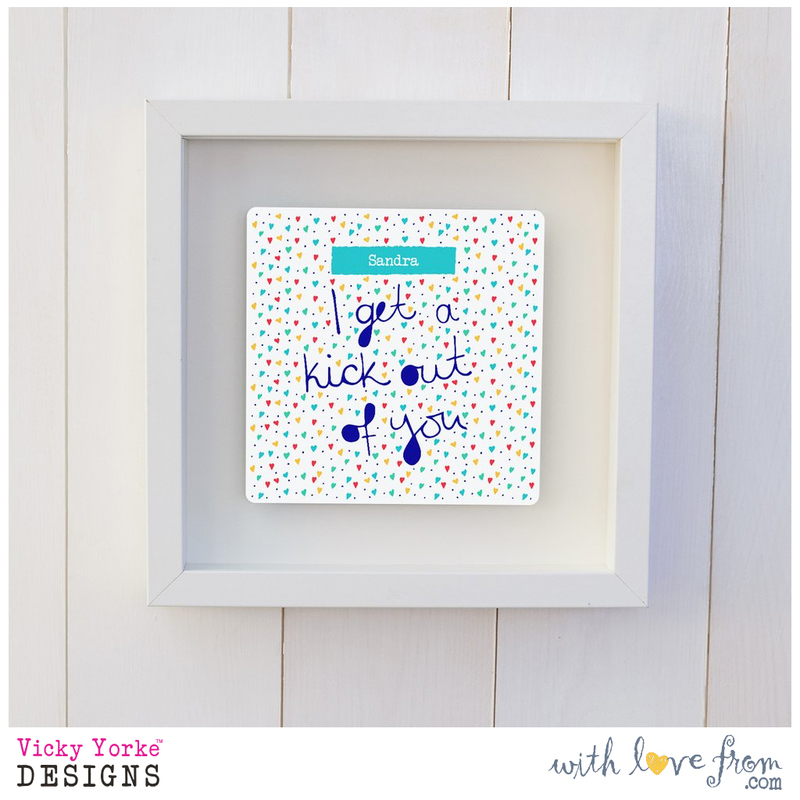 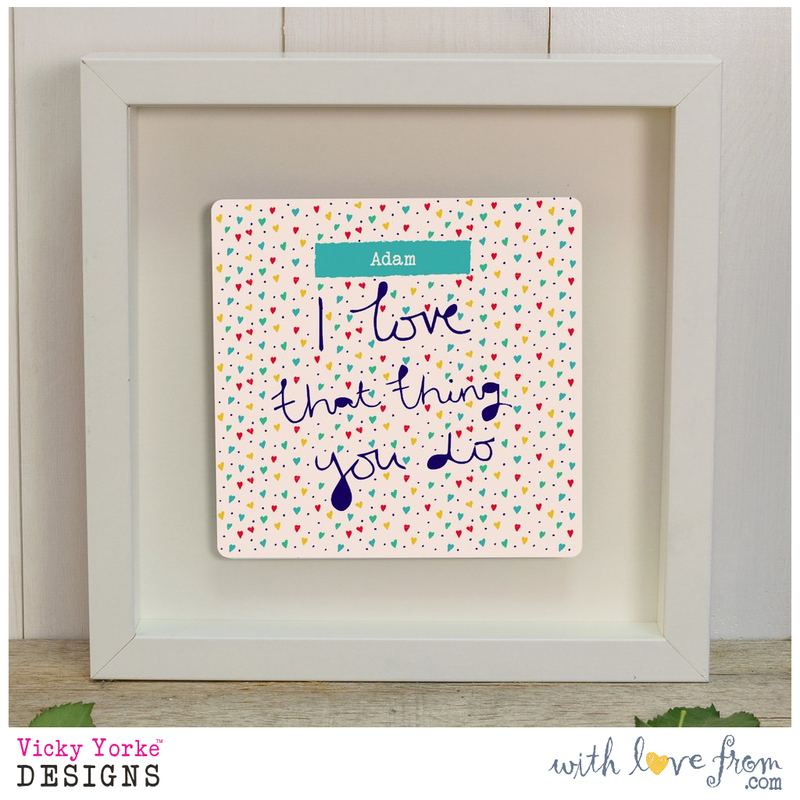 Available in a variety of heart and geometric prints combined with fashionable hand lettering, sentiments include - 'I love you'; 'I love that thing you do'; 'You're my favourite'; 'I get a kick out of you' and 'You're my gorgeous'. 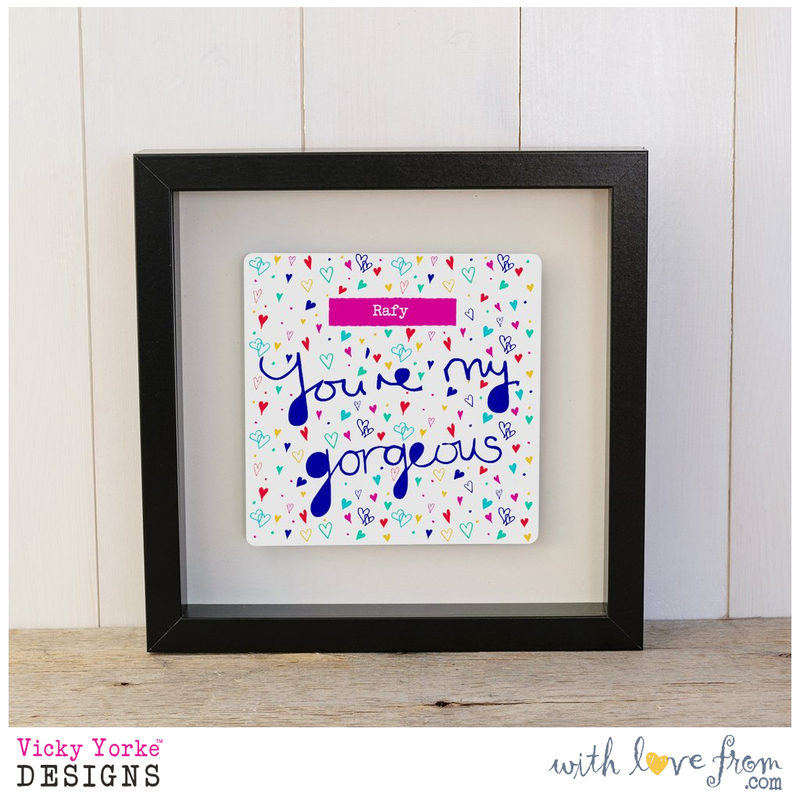 All designs are sublimation printed onto a photo print quality gloss finish aluminium plate before being mounted in a stylish 22cm x 22cm square black or white frame, which creates a shadow to make the colours really stand out. 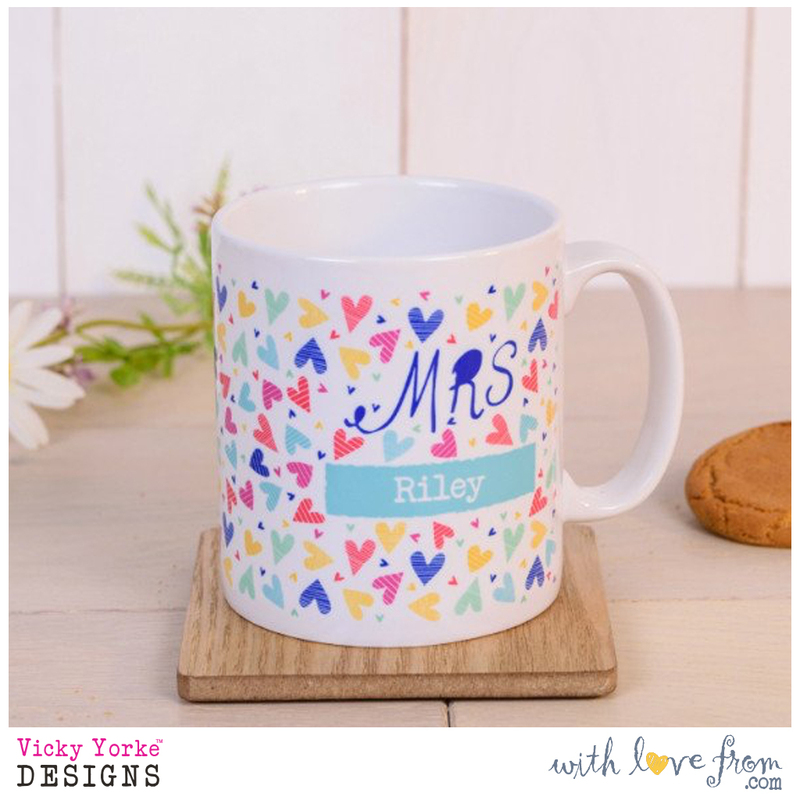 Designs are also available to celebrate that special occasion, such as a wedding, anniversary (or just because...) including 'Mr & Mrs' and 'He put a ring on it'. 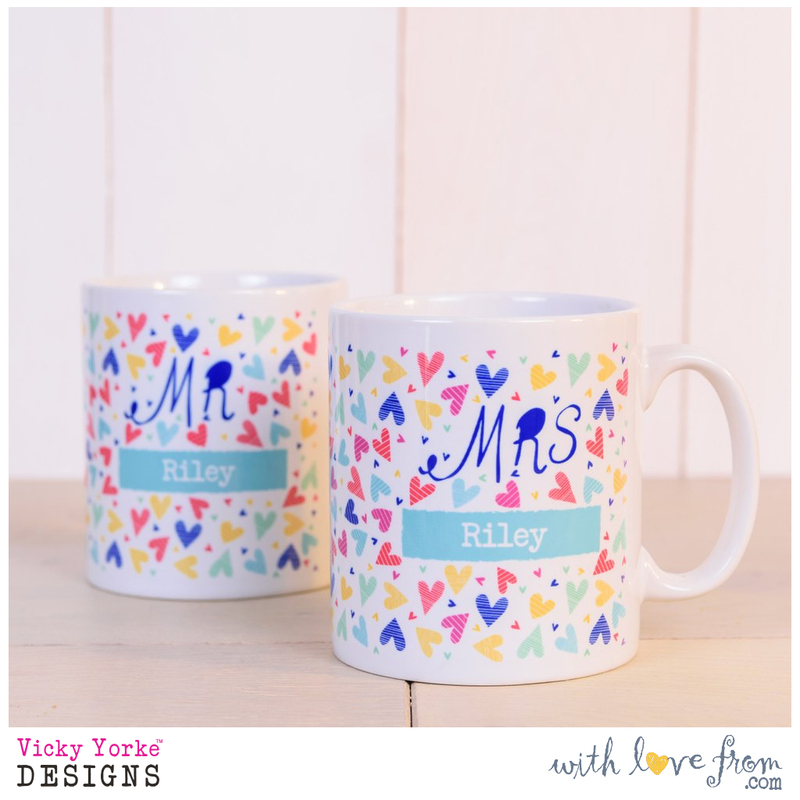 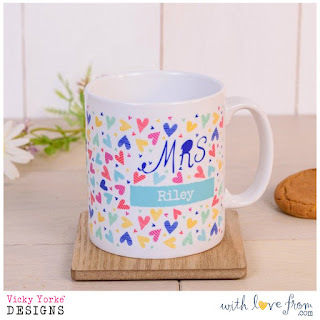 'Mr' and 'Mrs' mugs are available to buy separately, or you can get a discount when buying a pair in any combination of 'Mr' and 'Mrs', 'Mr' and 'Mr' or 'Mrs' and 'Mrs'. 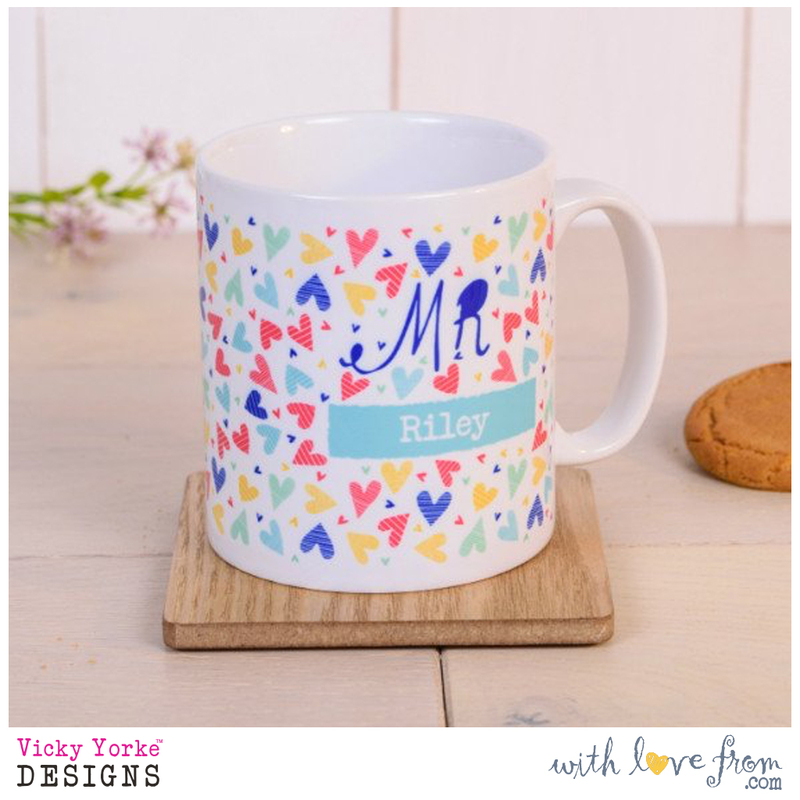 All the mugs, along with all the products have an area to personalise to make your gift completely unique. 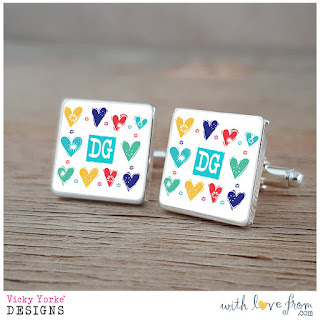 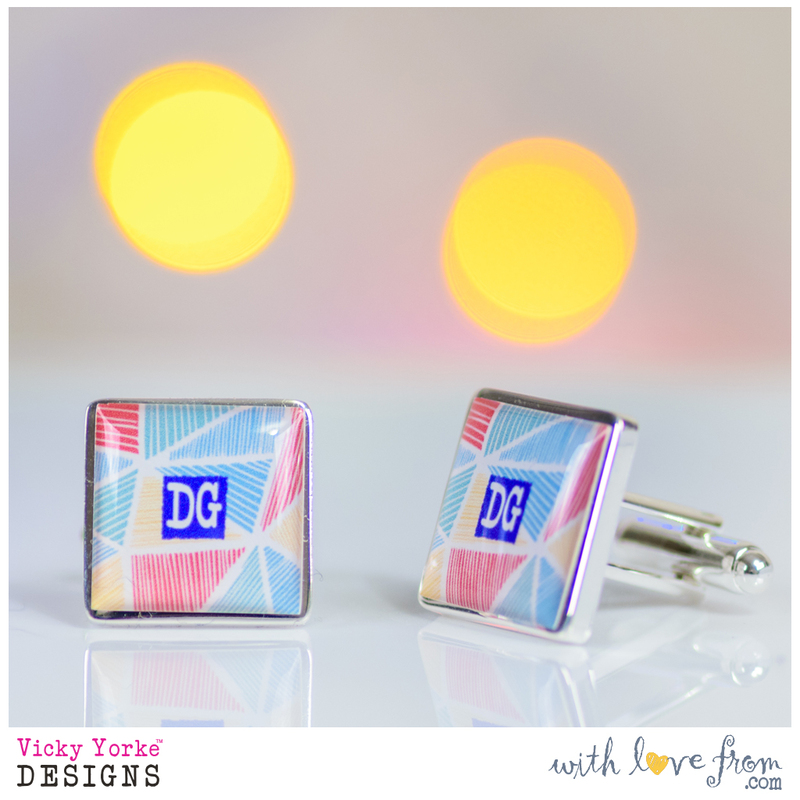 I am also super-excited by the addition of cufflinks to the With Love From range! 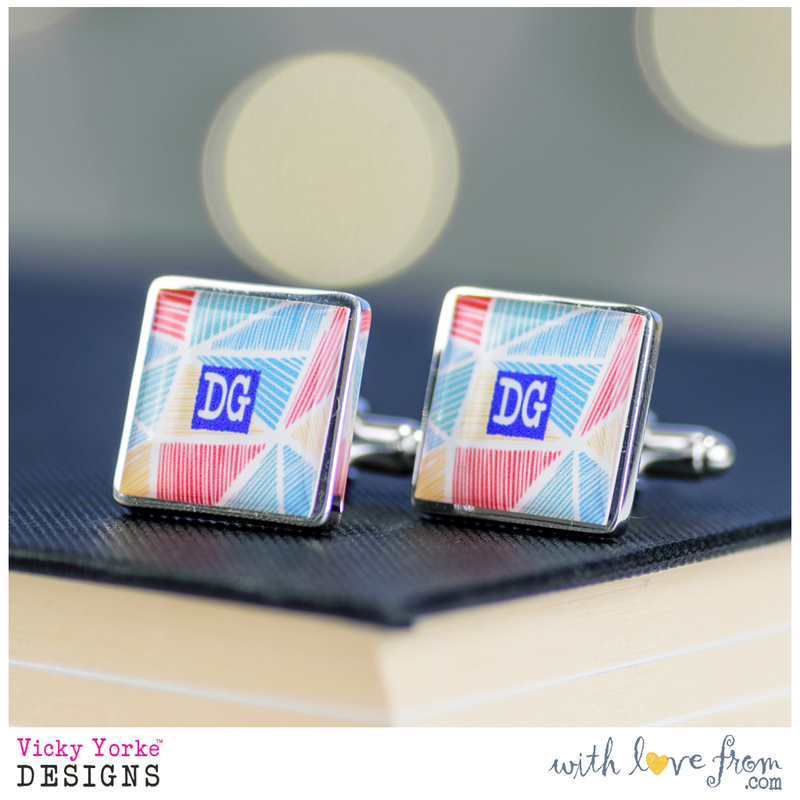 My designs have featured on many products in the past, but this is the very first time on cufflinks! 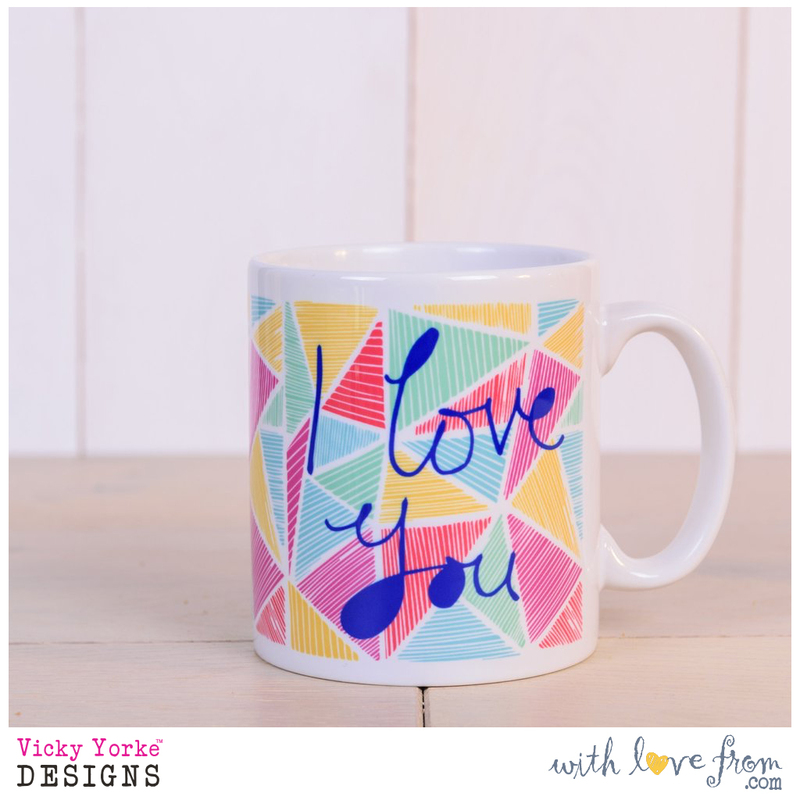 There are a variety of designs, which all include my bright and whimsical prints. 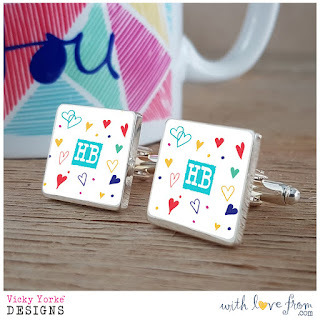 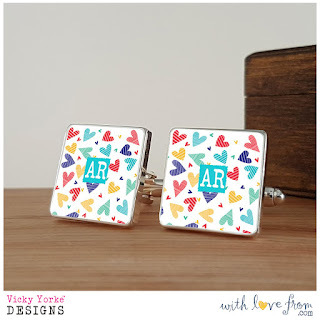 Each design has an area to personalise with initials and is mounted on beautiful silver plated cufflinks, which are resin coated for durability and a shiny finish. Follow my blog and Facebook page to keep up to date with product launches and more! 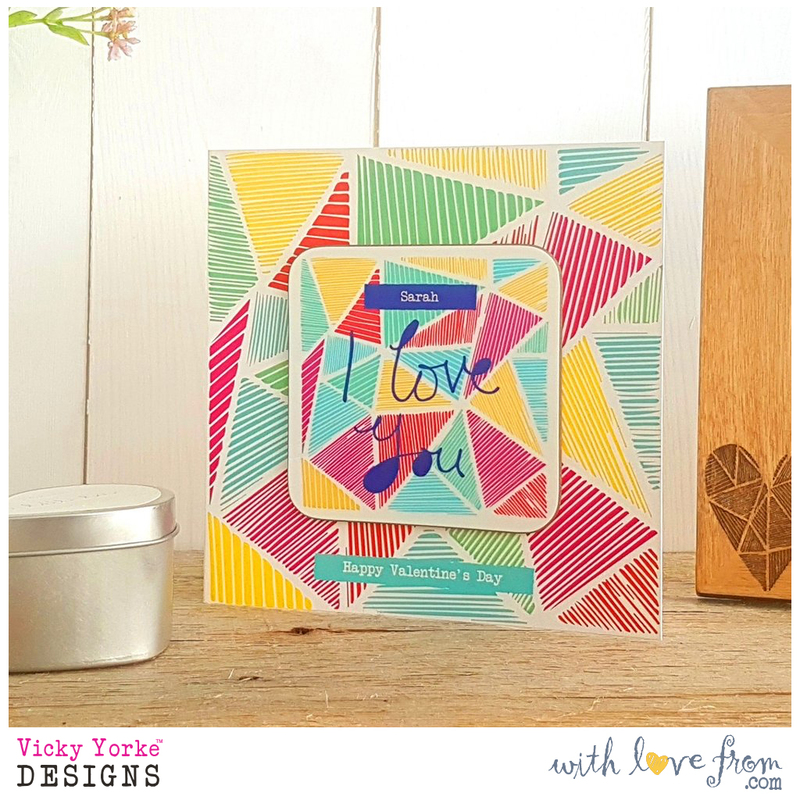 You can also check out the With Love From Facebook page here.